I started this blog on the 2nd of December 2017. I have been lucky enough to get a surprising number of regular followers, some of whom might recall that I am something of a 'fanboy' of Martin Newell, both in his solo capacity and his The Cleaners From Venus output. So forgive me another Newell indulgence ! This album is possibly Newell's most well known album. It is the one he attempted to break the U.S with. To do so he enlisted the services of his most well known fanboy, Andy Partridge from XTC, who he locked in his personal studio (his garden shed) to both twiddle the production knobs and provide the majority of the drums. As such there is a different nuance to the album compared to his more ramshackle, but equally beguiling, self produced work. Initially the drumming is now vastly different. Whereas Newell's preference was towards stick work that fluttered around his sparse jangling guitar melodies, Partridge the drummer, the ex XTC member and the producer, preferred a more trashcan approach as seen on tracks such as Christmas in Surburbia, The Jangling Man and the standout of the album, She Rings The Changes (see below). It is XTC's 'Senses Working Overtime' era drumming at its best and helps to propel this album forward with an unprecedented extra dynamism. The Partridge influence on the production board is also heard, although it is implied rather than essentially dominant. It is well known that Partridge is the consummate uber-fan of all things Newell and whilst he was fighting for XTC's freedom from the Virgin Record label, he suddenly found himself with plenty of free time to get actively involved in his passion for all things Newell. As such the ramshackle lo-tech aesthetic of previous / subsequent albums is given a more glossy veneer, albeit in a subtle manner that does not detract from the Newell signature sound that his prolific studio output had created over the previous 15-20 years. This was an absolute 'labour of love' for Partridge and it was always going to contain a few extra flourishes that Newell may previously have considered spurious. Essentially the guitar work is far more prevalent. In tracks such as The Jangling Man and the superb opener Good Dreaming Fields (see below) Partridge gives them far more prominence as they chime bounce and jangle within the tracks rather than merely being a secondary accompaniment to the vocals. At the time criticisms were leveled stating this extra polish was an over-production deliberately designed to entice the American market. This however, was a ridiculous suggestion as the album was merely 'more produced' in comparison to a previous work whereby production shenanigans were the least of Newell's concerns. Ultimately the album did not garner commercial success Stateside. 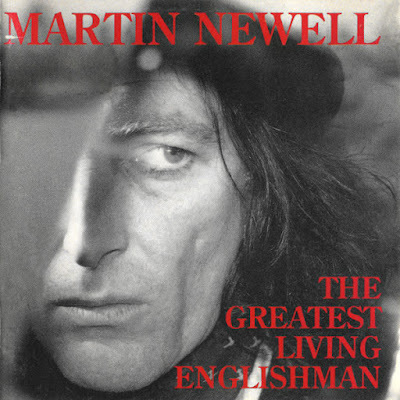 This was hardly surprising considering Newell did not offer any deference to what America might require and rigidly remained true to his three minute, jangling chorus/verse pop songs, telling 'little' stories about the absolute minutiae of the 'little England' that surrounded him in his everyday existence. It remained quintessentially English despite the 'crack America objective'. I cannot help feeling it was a half-hearted attempt and that this 'Greatest Living Englishman' was more than happy to remain less affluent and the sole preserve of those he lived among, just so long as his own perception of artistic integrity was not compromised. The Captured Tracks label are releasing a vinyl version here on 23.02.2018 that is now available for pre-order. I am sure that there are hundreds of albums competing for your money at present...I doubt many will be half as good as this though !